Sip and sample your way around the world of international street food traditions at SeaWorld Orlando’s Seven Seas Food Festival, every weekend from February 9 through May 5. The event runs open to close on Saturdays and Sundays, and new this year, starting on February 15, guests will be able to enjoy the Seven Seas Food Festival on Friday evenings from 4pm to 9pm. The Invictus Games Orlando 2016, presented by Jaguar Land Rover, has announced a star-studded lineup for the event’s Opening Ceremony on May 8, 2016. It will include musical performances by British sensation Laura Wright and international star James Blunt, an appearance by actor Morgan Freeman, and other surprise guests. 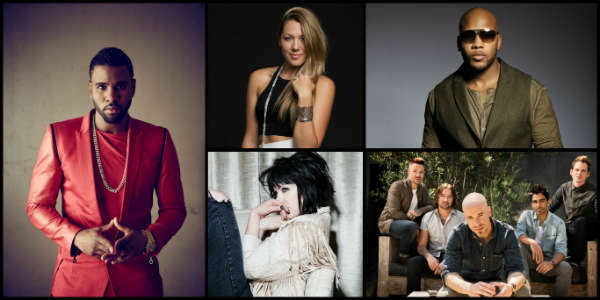 In celebration of its 25th anniversary, Universal Orlando will continue its popular concert series this fall on select nights from November 14 through November 28. The series kicks off with R&B artist Jason Derulo (“Want to Want Me,” “Talk Dirty”) on Saturday, November 14. The following Saturday, November 21, pop chanteuse Colbie Caillat (“Try,” “Bubbles”) will take the stage. 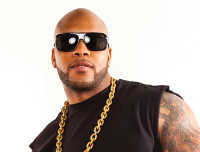 Rapper Flo Rida (“Right Round,” “Good Feeling”) will appear on Sunday November 22. There’s a new Microsoft Store coming to The Florida Mall in August 2012. To kick things off, they are bringing in rapper Flo Rida for a live performance. The store has its grand opening on Thursday, August 16. It opens at 9:30am, and starting at 10am, they will start distributing wristbands to see the Flo Rida show. The first 200 people who visit the store on Thursday will receive two complimentary premier-viewing wristbands to the Flo Rida performance on Saturday, August 18. The wristband also grants access to an after-the-show meet and greet with the rapper.